It all started with a pair of trainers. Ever had an argument with your child over their choice of shoes for school? Or about an accessorised piece of school uniform? When I was a child I wore a brightly-coloured coat to school as a clear mark of rebellion against my school’s black coat policy. Today, I see various attempts to challenge authority with hair style, or key rings on bags, or shoes! When Good Geeks Go Bad begins with Ella’s Dad refusing to buy her a cool pair of shoes or let her stay up late. And yet she’s always been a good girl. So Ella decides to go bad. Perhaps then she can get her own way. But being bad is more than just a few detentions and she’s soon losing control. In fact, she’s already lost control at home, where her parents are spending time apart. So when her best friend wants to spend time apart from her too, she wonders if it really is best being bad, or if being geeky was good after all. 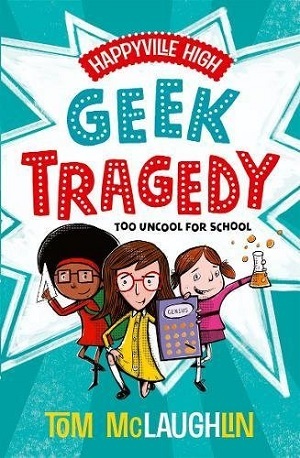 This highly-relatable, funny read from comedienne and writer Catherine Wilkins is an excellent look at a young teen fitting in at school, and finding her own place at home, as well as working out which identity she’s going to carry through her teen years. Who to be friends with and for what reasons? It poses the sorts of questions many children ask of themselves in Year 8, on the cusp of being full-blown teenage. 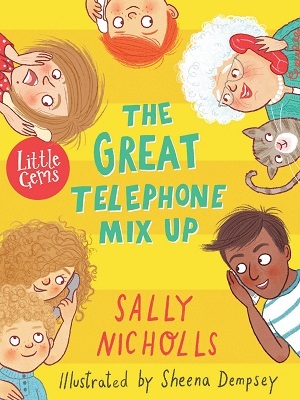 Wilkins understands how to write funny as well as how to explore the pathos in harder family scenarios, and she creates a highly identifiable character in Ella. Were you Good at school or were you Bad? A bit of both. I was a slightly mischievous younger child. When I started secondary school I became shy and quite well behaved. Then I eventually rebelled again a little bit. Like Ella, I wore trainers to school. I think there’s something about testing where the line is that all kids do. (Also I really liked my trainers at the time). In When Good Geeks Go Bad, Ella’s dad refuses to let her have cool shoes. Was there an item you wanted in your childhood that you never got bought? 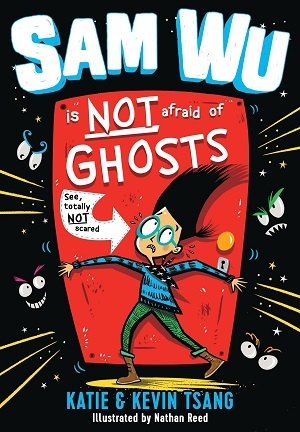 In the book there’s also some serious stuff about separated parents. Do you think all comedy should go dark at some stage? I would never legislate that all comedy should do anything. I think comedy is subjective and everyone has different taste. I find when things in my life go a bit dark, it can help me to laugh at them, make them less scary, make sense of them and bring them back into the light. But that might not work for everyone. Comedy can be used in many different ways. I like that it can be a coping mechanism, to cheer things along, or satirical beacon shining a light on hypocrisy and corruption. And you can enjoy dark comedy and still like slapstick too. 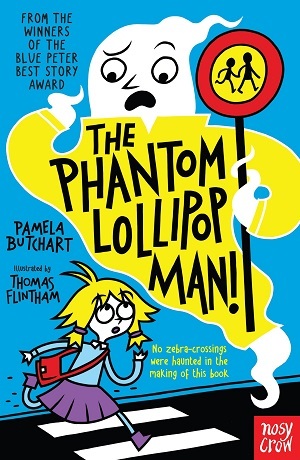 Also I feel like in this book, there are genuinely serious bits, that we’re not laughing at, but they are then undercut or contrasted with the more funny bits. You write comedy for kids – does being funny come naturally to you? Are you the funniest in your house? I live in such a fun house that it unfairly throws off the grade curve. My three-year-old daughter is probably the funniest. She’s always making up jokes and dances and clowning around. She has comedy chops. Then my one-year-son is pretty funny, but more in a cute way. Then my husband is a comedian and writer too, and they all play funny games together. I might be somewhere at the back, just after the cat (who is actually really funny at falling off things and then looking to see if anyone saw). What’s the scariest thing about doing stand-up comedy? The profit margin. BOOM. (Jokes). For me, the scariest thing would be never having tried doing it. But lots of people would say performing in front of other people is nerve-wracking. I didn’t find that so much when they were strangers, but as I climbed the ladder a bit, and there’s accountability because the gig matters and you have to impress the next booker or reviewer, that’s when I would get nervous and lose my spark. But when I started, the thrill of testing a new joke and getting a laugh made up for everything. Which fictional character do you wish you could be (for a while)? This is a really hard question to answer because there’s so much to choose from. Maybe I’d like to be Alice and check out Wonderland for a while, and have some adventures. What advice would you give budding comedy writers? You are probably already a fan of comedy, so keep doing that and consume as much comedy as you can. Keep a notebook about your person to write down your funny thoughts and observations. I think sometimes with comedy it can be ‘spotting’ the joke, as much as making it up, seeing if you can spot something that no one else has connected in that exact way. If you have a friend who has the same sense of humour as you, sometimes it helps to pretend you are trying to make them laugh. Or even collaborate with funny friends and try and write stuff together. (When I was at school I was often trying to force friends to do comedy with me, but they weren’t always as into it). But also it’s important to write about what you think is funny, not what you think other people might laugh at, or what’s expected. It’s yours. Your jokes, your voice. 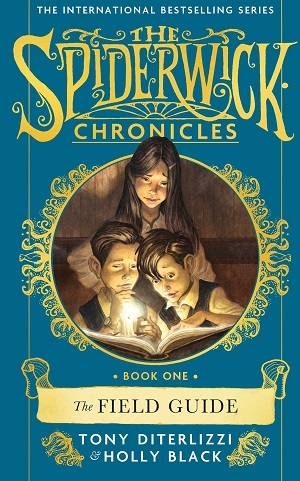 And lastly, is the next book simmering – will we see Ella again? Or is there something new? 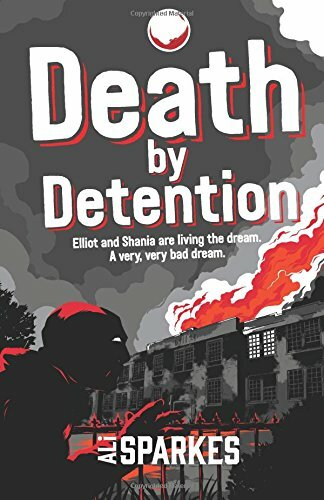 There is a new book on the horizon, but it’s something brand new, not Ella. 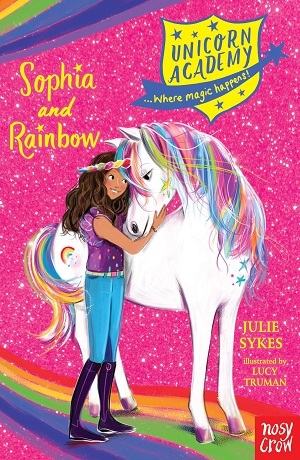 But never say never, it might be fun to see what Ella gets up to next in the future as well. With thanks to Catherine Wilkins for her time. 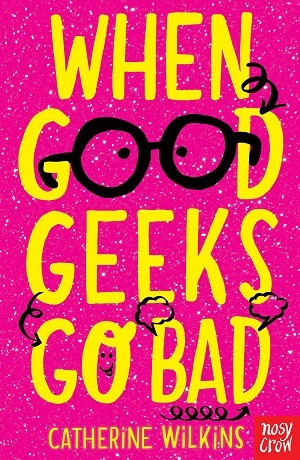 When Good Geeks Go Bad is published today, 10th January, and you can buy it here. 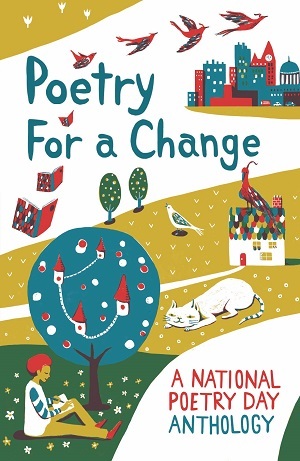 It’s National Poetry Day on 4th October, and the first ever official National Poetry Day Anthology, Poetry for a Change, illustrated by Chie Hosaka, has been published to celebrate. 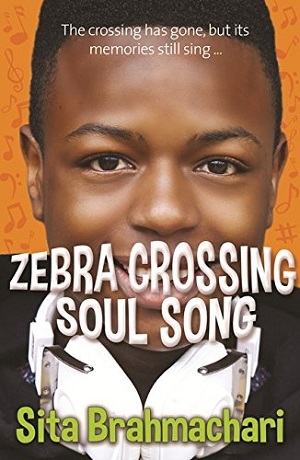 It holds a fantastic variety of poems on the topic of ‘change’ by a selection of exciting modern poets. Not only are their poems included, but they have each chosen to share the reasons or inspiration behind their poetry in a short paragraph, as well as a companion piece from the classical canon, and their motivation for choosing it. This neat conceit showcases how older, classical poems and poets can spark ideas and provide inspiration for new poems. Our modern poets explore not only their reasons for choosing the classical poem but they also make it accessible. The poems are not too long, and the accompanying explanations are in bitesize format. 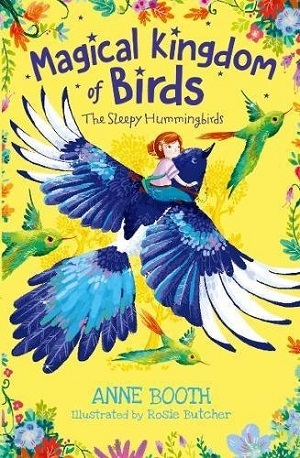 There is a special impact that poetry can have upon young children – some who find a whole novel difficult to grasp or wade through, can find solace in a poem’s small chunks of text, can see possibility in the lack of right or wrong answer for their interpretation. Poetry provides time to dream, time to think, time for the mind to seek connections. Poetry for a Change is simply illustrated too, with black line drawings that give an extra dimension to the poetry, an extra resource. Below, I’m delighted to share Rachel Rooney’s poem, explanation and companion poem. Her theme is a changing life cycle – the caterpillar. 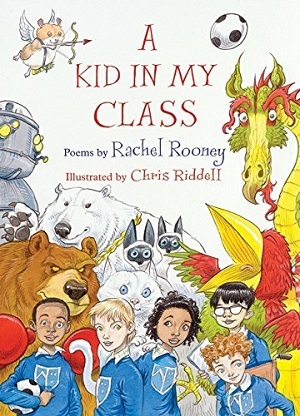 Also, readers might like to take a look at A Kid in My Class, poems by Rachel Rooney, illustrations by Chris Riddell. 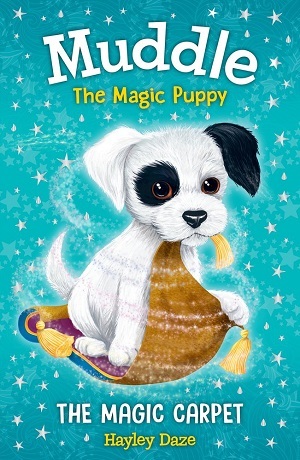 This unique, daring selection features a poem on each different child within a class – the daydreamer, the new boy, the one who fidgets, the cool kid, the joker and so many more. The genius lies in the fact that the poems will resonate for the teacher of the class, but each child will see some of their own character in some of the poems – there’s an artist in some of us, a drama queen in others, a best friend too. 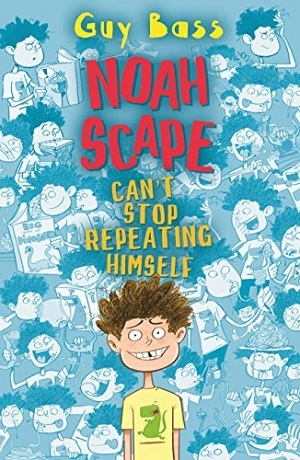 Full of both emotion, and knowledge of the classroom, this is a superb collection, brilliantly illustrated by Riddell, who has also managed to pick out the unique look of each child. If nothing else, it will certainly make you wince in recognition, and laugh at the wit. Poetry has never seemed more alive and more relevant. You can buy Poetry for a Change here, and A Kid in My Class here.